Cleveland, OH – 8/6/18 – Solus Lighting LTD is thrilled to announce Frankie Teuber as the Administrative Operations Manager. 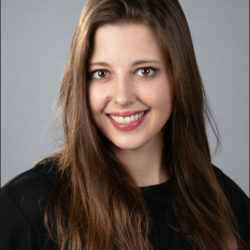 Teuber holds a Bachelor of Arts from the University of Toledo along with a Master of Fine Arts from the University of Houston. She is a scenic designer, gifted props artisan, and extraordinary puppet master.